What Is the Chance of Having Twins with IVF? In vitro fertilization is based on a simple principle: If eggs are selected and fertilized outside a woman’s body in the lab, most of these eggs will produce embryos, and some of these embryos will be healthy. These healthy embryos often result in pregnancy if they are placed in the uterus three to five days after they’ve been fertilized. Before IVF starts, your doctor will give you a series of medications (usually shots) that will help your ovaries produce many mature eggs at once. Then, your doctor will extract these eggs using an ultrasound guided needle while you’re under light anesthesia. Your doctor will then use fresh sperm to fertilize the eggs the same day. After the eggs are fertilized, we will monitor the eggs in a sophisticated and carefully controlled lab while the eggs cells repeatedly divide. After a few days, some of these eggs will be clearly the healthiest. Your doctor will select the healthiest embryos and will generally implant two of them inside your uterus. Your doctor will perform a simple procedure using a thin catheter to implant the embryo. Normally, doctors place two embryos inside a woman’s uterus to increase the chances of pregnancy. But if two embryos are implanted, you increase your chances of having twins. One-third of pregnancies that result from IVF produce twins. For women who are pregnant with twins, sometimes one embryo will die while the other stays healthy. In these cases, women will give birth to only one baby. Sometimes both embryos will stay healthy, and one will split, creating triplets. Triplets happen in about one of fifty IVF pregnancies. We rarely place more than two embryos because we want to reduce the chances that a woman will have triplets. Sometimes we only place one embryo. It’s important to reduce the chance of triplets as much as possible because these pregnancies are often high risk for the mother and the babies. Some triplets are born with physical and developmental problems that last the rest of their lives. Placing too many embryos can also do more harm than good. The decision about how many embryos to place is always between the doctor and the couple. Your doctor will help you decide how many embryos should be placed after careful discussion. In vitro fertilization works equally well for almost all infertility conditions. Doctors can detect a pregnancy after two weeks. Close to 75 percent of women who have IVF will have a positive pregnancy test. Some of these pregnancies will fade after a few days, but most of these pregnancies will stay healthy and carry to term. Successful clinics, like the Utah Center for Reproductive Medicine, will have over 50 percent pregnancy rates with each round of IVF. Learn more about UCRM's high IVF success rates. Success rates depend on a woman’s age. IVF has a slightly lower chance of producing a pregnancy if the woman is over 35. IVF success rates are much lower in women who are older than 40. If you’re considering IVF but are worried about passing on an inherited genetic disease to your children, preimplanation genetic diagnosis (PGD) is an excellent treatment option available at UCRM. Preimplantation genetic diagnosis (PGD) is when one or both genetic parents has a known genetic abnormality. In these cases, doctors will perform tests on an embryo to see if it also carries a genetic abnormality. PGD testing allows couples choosing IVF to avoid passing on an inherited genetic disease to their children. The process is detailed, but our infertility experts will guide you through each step of the process and answer any questions you may have. Most couples seeking PGD are aware of the genetic disorder and have already had testing to confirm they have it. If you need testing to identify a genetic disorder, we will work with you to set up an appointment and schedule the tests you need. 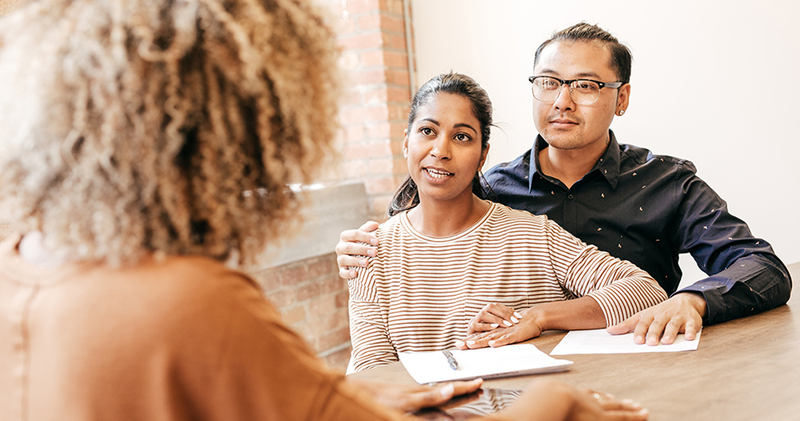 In either case, once we have received your test results, we will assist you in setting up an IVF/PGD consultation appointment with one of our fertility specialists. 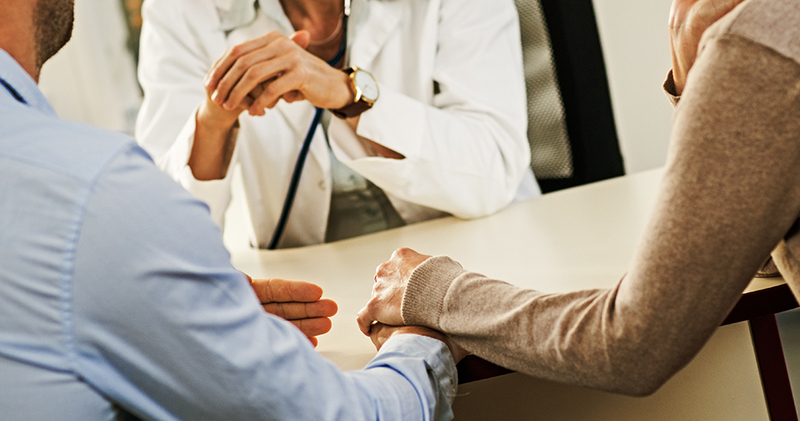 Our fertility specialists will describe the process and discuss your options.